After hearing the story for the upcoming XCOM 2 game I was a little bummed out. But I also realized that there was an opportunity for a classic science fiction twist. Major spoiler for the ending of XCOM: Enemy Unknown ahead. I’m one of these players who got attached to my squad of soldiers in XCOM: Enemy Unknown and was bummed to find out their fight and sacrifice was for naught. 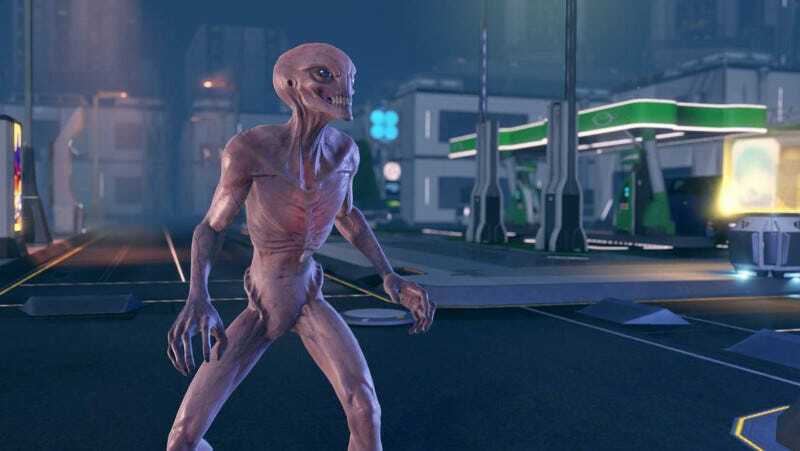 XCOM 2 picks up twenty years later with the aliens in charge and the player is controlling resistance fighters this time. Yes, if you read between the lines of what the Ethereals are saying at the end of Enemy Unknown, stopping a single Temple Ship doesn’t necessarily end the war. But it still doesn’t sit well with me that the aliens took over the Earth anyway. An underground resistance force defeating alien overlords and their human collaborators sounds like a tall order. Since we’re talking about a game the aliens will probably have some weakness that can be exploited to bring them down. But suppose the alien takeover can be stopped before it happens? Yes, I’m talking about time travel (I know that can get messy but I’m keeping my pitch as simple as possible). Given how many other science fiction tropes the XCOM games use it’s not unreasonable. This idea could be an expansion for XCOM 2 (as you may have guessed, I suggest calling it Project Rewind) to give the player an alternative way to win. Either the aliens, their human collaborators or the resistance has been working on a time machine. Objectives in later missions involve securing components or scientists (if it is the resistance building it) or gathering intelligence. The next to last mission is securing the time machine, either defending the resistance base against alien/collaborator assault or capturing the enemy’s base. The final mission is a team going on a one-way mission twenty years into the past to accomplish some task (insert your own MacGuffin or plot device) that will stop the alien invasion cold before they can take over. In keeping with Enemy Unknown a resistance fighter should have to make a heroic sacrifice at the end and the surviving team members will see the beginning of the new timeline without the aliens.